Nopi opened in Soho in 2010 to a great reception, and rightly so. It was an extension of the Ottolenghi chain of delis by Yotam Ottolenghi who is famous for his uniquely innovative blend of Mediterranean, Middle Eastern and Asian cooking. 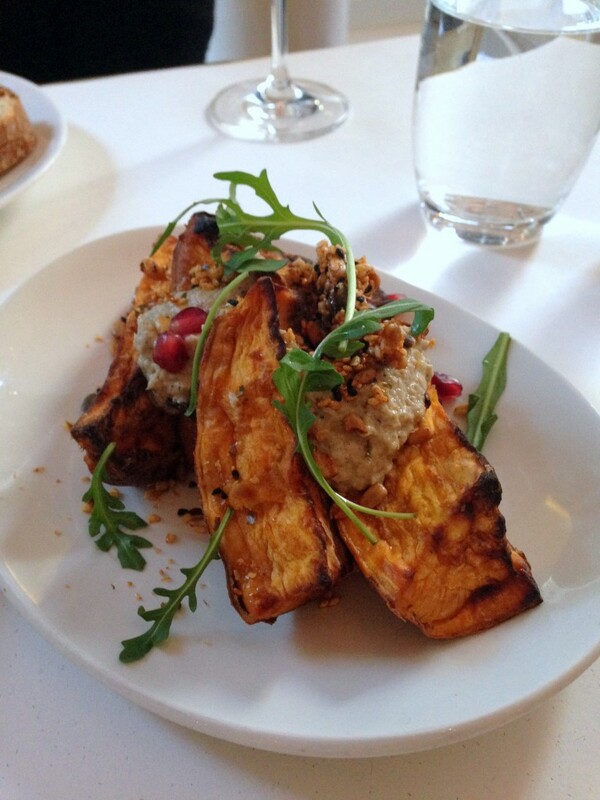 Nopi gave Ottolenghi a presence in Soho, but it also made his delightful food accessible to a wilder audience. I visited Nopi in June 2011, several months after it opened and loved it (you can read that post here). Little has changed in terms of the restaurant’s décor or design. Nopi is split over two floors. The ground floor is white throughout with individualised tables, and the basement plays home to shared seating with views of the open kitchen. The menu still holds true to Ottolenghi’s original and inventive fusion of Mediterranean, Asian and Middle Eastern cooking, and along with the main size plates, there are a number of sharing options and plenty of choices for vegetarians. A dish of seared scallops (£13.90) was pleasant on the palate and worked well with the sweetness of a delica pumpkin puree and some savoury red chicory. The scallops were a touch overcooked however and slightly tough, but otherwise this was a good dish. Conceptually, a sweet potato salad with burnt aubergine yoghurt and pomegranate seeds (£8.90) should have worked. However it fell short on the delivery. This was meant to be a room temperature dish, but the salad had then been refrigerated and was therefore limp and cold. So instead of tasting freshly cooked it tasted as if it was a day old. This could have been a wonderful salad, but only had it been served freshly prepared and at the right temperature. 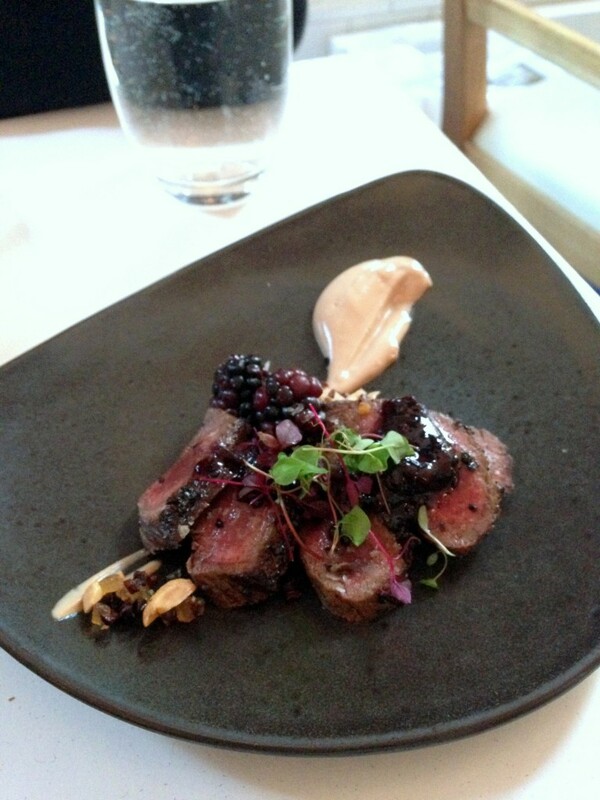 A dish of venison paired with caramelised yoghurt, blackberries and peanuts (£13.90) was gorgeous. The meat was tender, succulent, beautifully cooked and full of flavour. It worked beautifully with the creaminess of the yoghurt and the tangy sweetness of the berries. The final touch was a garnish of peanuts that added a lovely crunchiness to this dish. This was a superb plate of food which tasted as good as any produced in a fine dining restaurant. 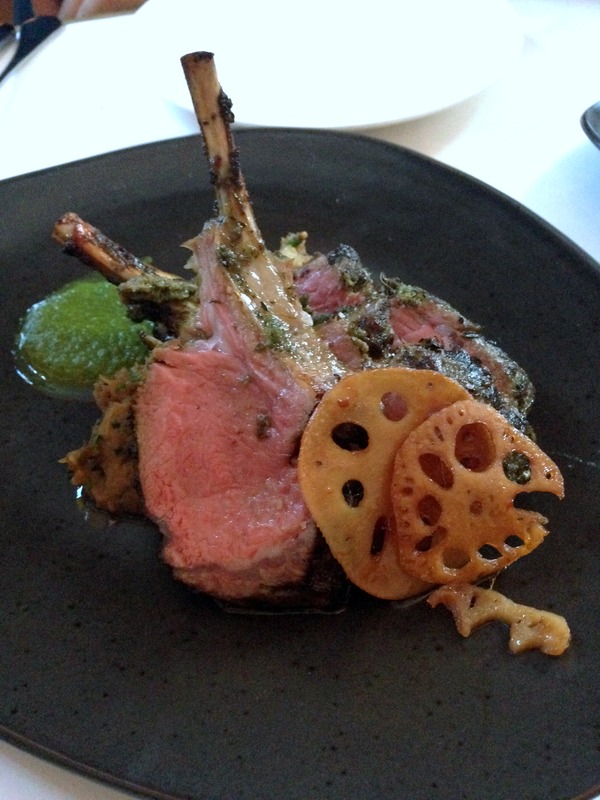 Tea-smoked lamb cutlets (£24.90) were delicious and tender, but it was difficult to detect any smokiness in the lamb. The accompaniments of jalapeno salsa and miso aubergine were a good fit for the lamb, although the aubergine puree was a touch too tangy. 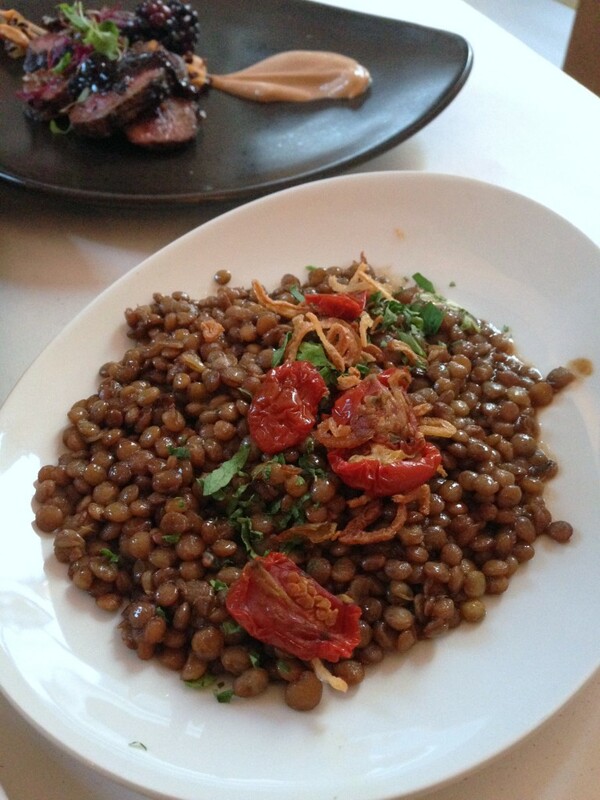 A side serving of brown lentils with crispy shallots (£6.20) came flavoured with some aromatic cumin and exotic berbere spices. The spicing was good and the lentils had a good bite to them. However, there was a slight imbalance in the dish as the vegemite stock used to cook the lentils in was also a little too tangy. Coffee and pecan financiers with a maple cream (£9) were good and warm. The cakes were delicate and fluffy, but a crunchier surface and more butter in the mixture would have been better. 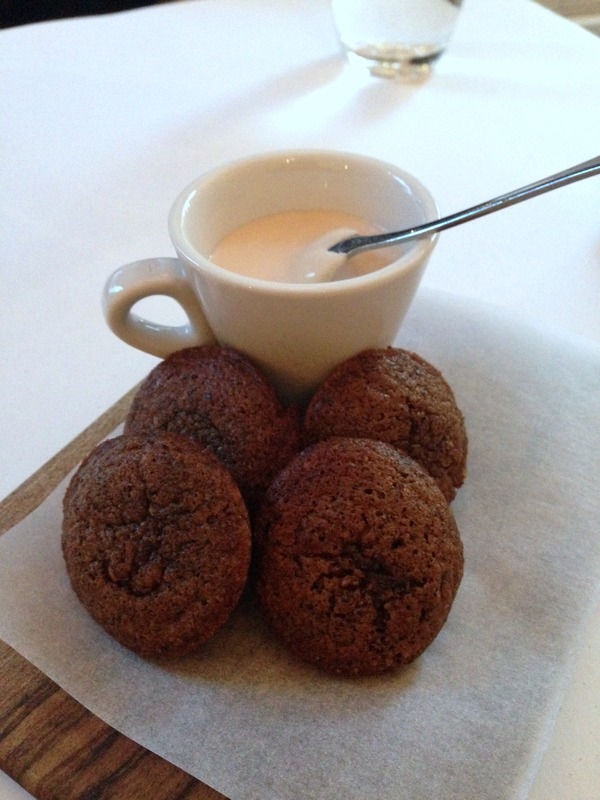 The rich and runny cream was a perfect accompaniment for the financiers. When I last visited Nopi in 2011, I could not stop raving about the food. There was a vision in how Ottolenghi fused together Mediterranean, Asian and Middle Eastern ingredients and techniques, and the results were an explosion of exotic flavours previously unfamiliar to Londoners. To round off the delightful menu, much love and attention also went into the preparation of the dishes, which was evident in how the flavours came alive on the palate. Nowadays, Nopi still maintains that vision and the menu continues to offer some unique and interesting options. On the whole this meal was enjoyable, but the quality of the cooking and the meticulous attention to detail that was once there has since dropped off. 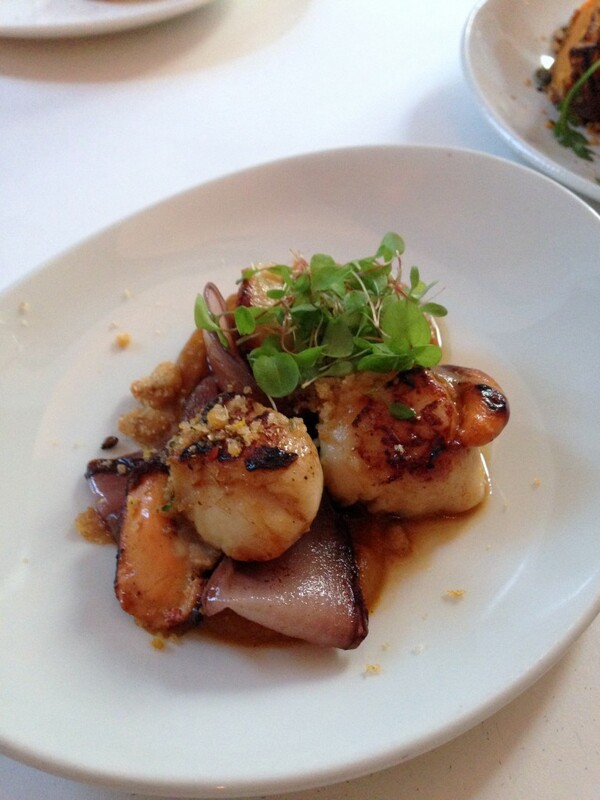 We had some wonderful dishes such as the venison, but we also saw some overcooked scallops and a rather limp salad. Nopi’s food is still very good, but it really could have been much better. The service was lovely, chirpy and friendly. 1) The venison dish was incredible. 1) The sweet potato salad. 2) Some unsteadiness in the cooking. 3) Knowing it was much better several years ago. About £37 to £47 per person. Excludes drinks and service.